Belarus' triple gold medal winner at the Winter Olympics Darya Domracheva was Monday named "Hero of Belarus", the country's highest honour, by President Alexander Lukashenko. 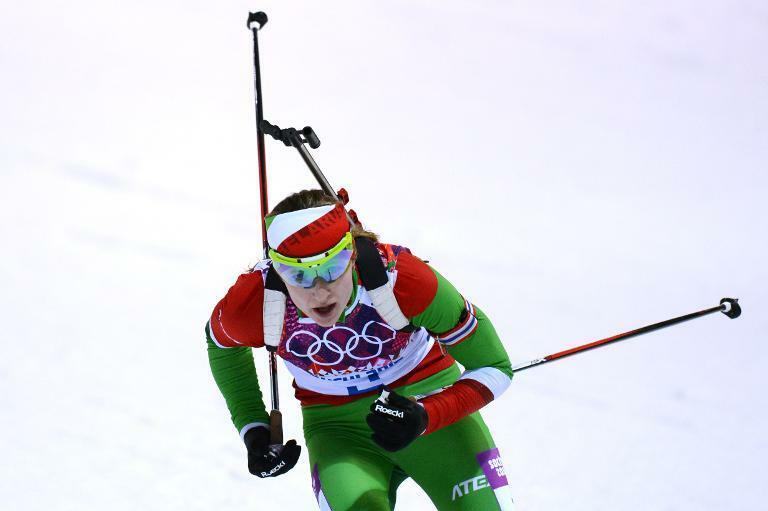 Lukashenko bestowed the honour on Domracheva, 27, immediately after she won the women's mass start race, her third gold medal at the Sochi Games. "Dear Dasha! You are just great! All of Belarus is delighted with your victory. Modern history does not know similar great deeds," said Lukashenko in a congratulatory telegram. "Our country knows how to recognise great deeds -- from all my heart I congratulate you with the highest of honour of the motherland 'Hero of Belarus'," he added.